An avalanche struck Camp 3 on Manaslu in Nepal this morning, killing nine people. A crew of Dynafit athletes were making their way up the 8,156 meter peak when a serac fall caused the slide. Glen Plake and Greg Hill survived. 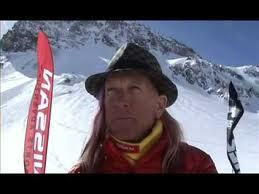 Widely known for ski film appearances in the 80's and 90's, Glen Plake is an accomplished ski mountaineer. He is reportedly in good condition after surviving an avalanche on Manaslu in Nepal. This entry was posted in News and tagged Glen Plake, Manaslu Avalanche. Bookmark the permalink.